Ambati Rayudu takes a dig on chief selector MSK Prasad after his exclusion from World Cup squad. Vijay Shankar was picked ahead of Ambati Rayudu in the World Cup squad. Ambati Rayudu struggled against Australia in both away and home ODI series. On the other hand, Vijay Shankar was made a good impression in the recently concluded series against New Zealand and Australia. 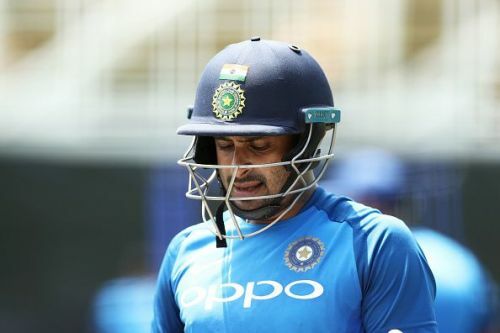 Indian team seemed to have been grooming Ambati Rayudu to play at no.4 position in the World Cup. While his exclusion from the team came as a surprise for few, India's chief selector MSK Prasad explained the decision. Prasad pointed out that Rayudu got his fair share of chances after 2017 Champions Trophy but he failed to utilize them. It is clear that selectors thought that Vijay Shankar's all-round ability makes him more useful for the team. Ambati Rayudu does not seem to have taken this decision well as he tweeted to take a dig on the decision. He wrote that he had ordered a set of 3D glasses to watch the World Cup. This tweet seems to be a reply to the comment made by Prasad who pointed out that Shankar is a three-dimensional cricketer. Every cricketer dreams of representing their country in the World Cup. So it is not surprising that Rayudu is hurt by his exclusion. The Indian team play their first game in the World Cup against South Africa on June 5th.